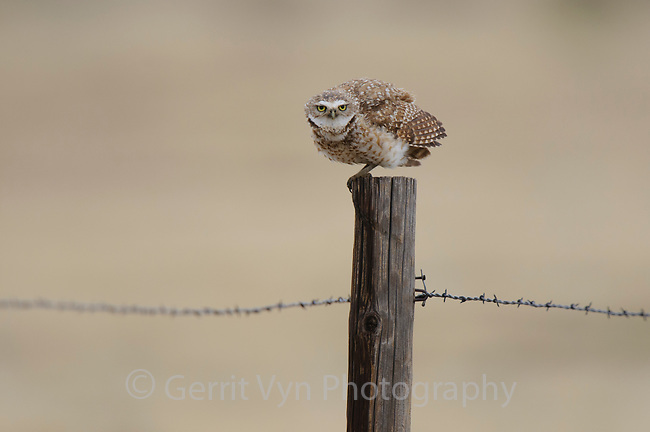 Adult male Burrowing Owl (Athene cunicularia) singing from a fence post. Cimarron National Grassland, Kansas. April.